The Gran Teatro La Fenice is one of the most famous opera houses in the world. It attracts not only performers of the highest quality but also audiences of persons who possess wealth and exude refinement. All these excellent folk need a good restaurant nearby to provide them with sustenance. They are fortunate, for they have a good one. It was given its name, during the First World War, by one of Italy’s greatest writers, Gabriele d’Annunzio. 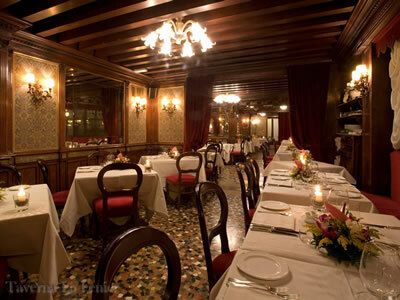 He called this lovely dining room, ‘Taverna La Fenice’ – and thus it is called today. To it have gone such musical luminaries as Serge Diaghilev, Arturo Toscanini and Igor Stravinsky. My own musical abilities have extended no further than Grade One on the violin, but I am an experienced listener. 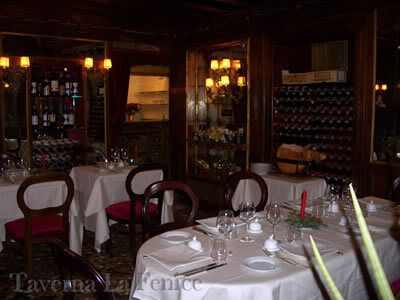 And now I have dined at the famous Taverna La Fenice. So I am a proper music-lover. After the infamous fire at the opera house, the Taverna – which is located behind its illustrious neighbour – also closed. When it re-opened, it was under new management. 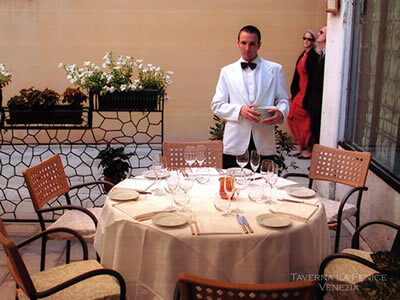 Giovanni Trevisan has done a splendid job in continuing and strengthening its traditions. The dark red velvet, polished wood and bright stucco of its interior is certainly cosseting and luxurious. 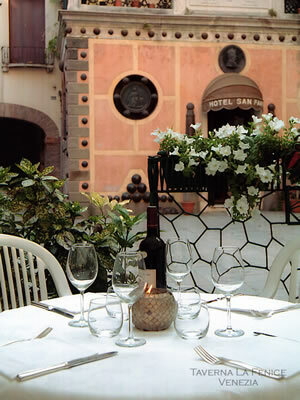 (At the time of my visit, the weather was chilly, so the large outdoor terrace was not being used.) And there was music, too. As the saxophonist played, I settled myself onto the velvet banquette, noted the crisp white napery, admired the good Stölzle glassware and thought I was in for a thoroughly enjoyable evening. And so I was. 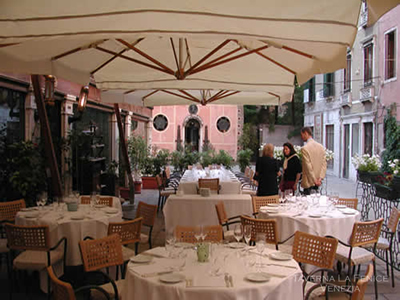 The cuisine here is Venetian, of course, and the surroundings and my mood combined to point me to a meal of traditional food, brought to my table by the members of staff in their dark suits. I began with slices of high quality Parma ham, cut for me by the charming lady who looked after me so well throughout the evening (and whose name, inexcusably, I failed to record). Then it was on to tagliolini with porcini mushrooms and crispy flakes of Parma ham. This pasta was exactly to my taste: soft and yielding. But the star of this particular performance was undoubtedly the chateaubriand with béarnaise sauce. This beef, served by the table, was so full of flavour that I felt the most grievous regret when the quantity of food defeated my capacity and – oh dear! – I had to leave some of this marvellous dish uneaten (even though I had insisted on half portions for the first two courses, having anticipated correctly the feast of meat). With it came onions, carrots and roasted potatoes – all of them splendidly done. After this I could manage only a little ice cream, but it was jolly good – of hazelnut, enlivened by a spot of dark chocolate sauce. The cost of these four courses was 71€, which I considered a bargain. 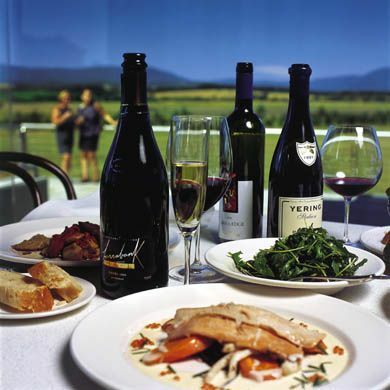 The wine list has 155 offerings. Most are Italian, but there are also some prestigious French names. Prices run from 16€ for a local red to 2,400€ for the 1995 vintage of Chateau Latour. Other bottles to catch my eye were: Krug Grande Cuvée (330€), 2007 La Tâche (1,050€), 2001 Margaux (1,480€), 1999 Masseto (740€) and 1997 Ornellaia (495€). I have drunk the last two wines from my own cellar, and can attest to their remarkable quality. But here I had a lovely red wine from the Veneto at very little cost. This elegant, highly-perfumed blend of merlot and cabernet sauvignon was densely packed with ripe black cherries (Il Chieto, 2010 – 27€) and was utterly delicious. To the Gran Teatro La Fenice in Venice flock opera lovers from around the world. 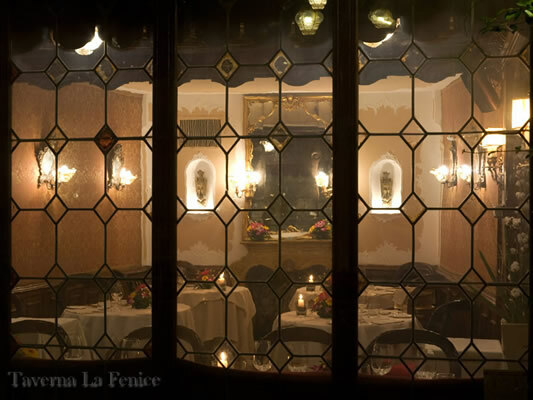 Those who also dine at the Taverna La Fenice will be twice blessed. 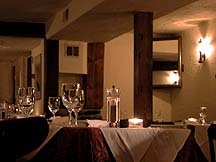 But even those who do not have their seats in the stalls, should seek out this charming and comfortable restaurant for its good food, its lovely wine and its proper service. Campiello delle Fenice, San Marco 1939, 30124 Venice, Italy.